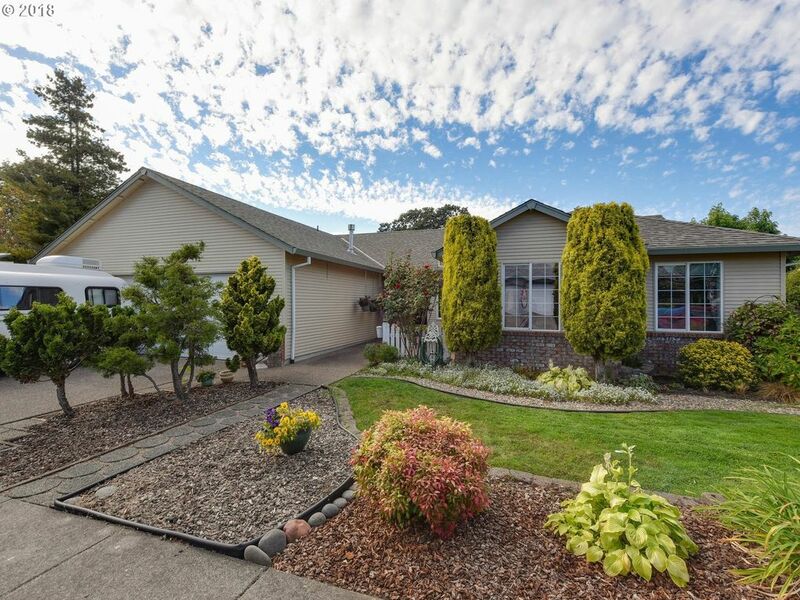 Beautiful 2001, 1966 Sq Ft. 1 level ranch on 8, 131 large lot Gentry Home, Original Owner, 4 Bdrm, 2 Bath, Livingrm/Dining Rm w/gas frpl, spacious kit. w/island, eating nook, pantry, gas range, bi-micro, refr., fam.rm w/slider to deck, vaulted/move in ready, 2 car gar./RV parking in front & fenced RV parking off alley, Master Suite closet/jetted tub & shower/Gardeners Delight! !